Who knew that simply changing the key respondents of a survey would completely transform the process? In over a decade of field work experience, I have developed a set of best practices for myself and our team to be able to conduct a survey of almost any nature. Little did I know that my experience was limited to only a half of the population. Designing the survey with women as key respondents had some extremely unexpected and interesting implications. In our experience it is common to engage with men in a given community to access the wider social group due to the typically patriarchal social set up. It is common for field researchers to line up local active and influential male members of the community, who understand our research objective to motivate our target respondents. In poverty or evaluation surveys a researcher in the field may face numerous questions from several people in the same village, particularly in Sindh. Usually the questions begin with inquiries like “Who are you?” and “Where are you from?” and then moves on to “What type of activity are you doing?” and “What will be the benefits of your research?” Eventually, one may also have men coming out of their homes, fields and jobs to share their grievances and struggles regarding education, roads, drinking water, electricity and gas etc. However, during the LANSA study on women’s work and nutrition we encountered little pressure and only a few questions from the community men. The study itself is unique for us as it forces us to break away from our traditional field practices of relying on male respondents as heads of households and the most authentic source of information. By conforming to the social norms we were in our own way reinforcing patriarchy and authenticating the man as the ruler of the family. But because of the distinctive design of the survey which revolves around the female respondent our experiences of interacting with the communities shifted substantially. It is usual for field researchers to anticipate personal questions from community members to build a rapport and source knowledge about the community. However, we realized we no longer needed detailed introductions and after briefly sharing information about our names and organization, our resource persons would say, “Adriyoon, amarian, saan…” which translates into ‘our sisters will talk with the mothers in their homes.’ Individual introduction of female field researchers was not needed and unified terms such as ‘adriyoon’ for sisters and ‘amarioon’ for mothers would suffice. This strategy was a way to avoid female enumerators’ exposure to the ‘autaq’-a designated male public space in the community. Our role was to gain access to the ‘autaq’, which for most purposes serves as a line of control, restricting access of strangers into private familial spaces. Once the female researchers were allowed to enter the homes the survey would commence and the men would lose interest in the activities. Despite clarifying our objectives and purpose repeatedly it was difficult to engage men in conversations regarding women’s work, nutrition and related issues. Our conversations would revolve around issues such as electoral politics, corruption, tribal feuds and stories of dacoits etc. No eventual talk about women, her work, and care could emerge and it seemed as if talking about women’s agency and issues was a stigma for them. 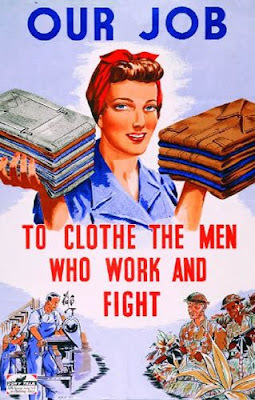 When probed about women’s work, the male members would passionately and proudly deny the prospect of their women working but a deeper investigation would reveal gendered perceptions about what was considered as ‘women’s work’. The women would be rearing livestock, picking cotton, preparing fodder and taking care of the household but contrary to our assumptions, these activities were not considered ‘work’ in their households. The discussion would then quickly shift to current affairs, politics or local news as men talked little of their women except when to jest or to joke. Our teams interviewed and conducted anthropometric measurements of over 1000 mother-child pairs in the province but male researchers from the team could rarely interact with them. However, our interactions with marginalized communities often differed with male members of the households openly welcoming us in their familial private spaces. Considering the male control and influence over women’s interactions and livelihoods in our rural areas, it may be helpful for donors and other implementing actors to invest in counseling men before they undertake any such interventions for women.